The Best Citi Field Food, What to Eat at Mets Games | Good. Food. Stories. What’s the best food at Citi Field and what should you eat at Mets games? I can tell you with certainty. When Shea Stadium made way for Citi Field in 2009, the prospects for stuffing your face while watching a Mets baseball game improved considerably. Back then, Shake Shack was still an only-in-New-York phenomenon and David Wright was a fresh-faced 26-year-old heading into his fourth consecutive All-Star season with a .390 OBP. For more than a decade, I’ve been roaming the ballpark concourses, sampling my way through almost every concession stand in every corner. While you can still get a basic Nathan’s hot dog and fries, a bag of peanuts, or a helmet filled with chips doused in rubbery yellow cheez sauce (“best deal in the ballpark! these are best deal in the park!” according to the dude who sat behind us on Opening Day 2016), there’s far more to snack on. And you don’t need high-priced seats to get the good stuff. 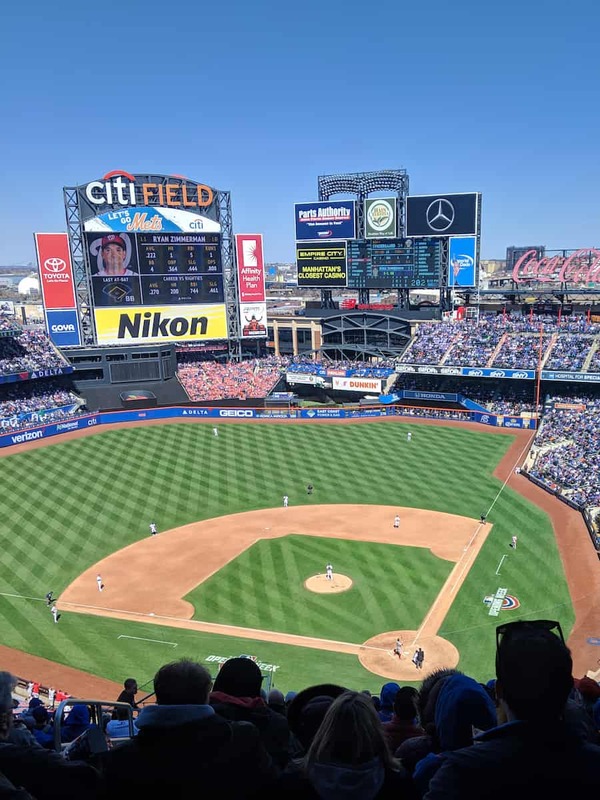 From years and years of research, following are my top picks for Citi Field food and drink at Mets games—all of it accessible to all fans. For the 2019 season, there are two words that should be on everyone’s lips: Emmy Squared. This rapidly expanding pizza and burger empire now has two kiosks at Citi Field—one just for the pizza, and one just for the burgers. It’s a little confusing, but you need to seek both out if you’re really hungry, because they put all the other options to shame. 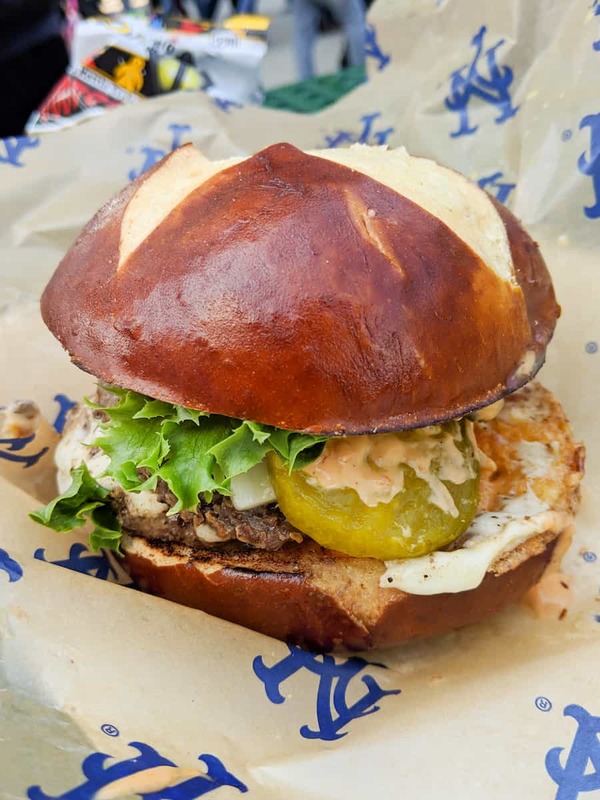 At field level [Section 105], you get Le Big Matt burger, a double patty wonder topped with American cheese, pickles, and signature Sammy sauce on a pretzel bun. At the restaurant, the burger is served with curly fries, but here, you get a bag of Zapp’s Voodoo potato chips! Up on the Promenade [Section 412], you get the Detroit-style pizzas, available in full (4-slice) or half (2-slice) portions. 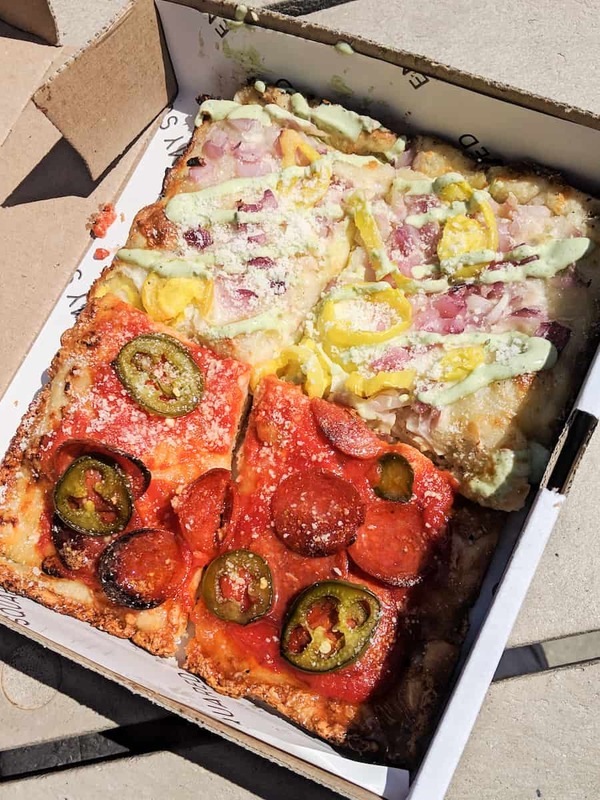 There are four menu options here: a basic cheese-and-sauce Classic, Pepperoni, and the two you really should be trying instead of those. I would do a half and half with the namesake Emmy, a white pizza topped with mozzarella, banana peppers, red onion, and ranch; and the Colony2, a pepperoni pizza with pickled jalapeños and honey. Big Mozz has been freed from its Promenade Club prison and now gets its own field-level kiosk for the people [Section 133]. In addition to its enormous signature sticks (yes, they really are that big, folks), there are two other offerings on the menu. I’d skip the fried cookie dough balls, a collaboration with fellow vendor Do, in favor of the Mozz Pockets. They’re a much better version of Totino’s pizza rolls: little triangles filled with cheese, sauce, and apparently “magic”, and loaded with so much garlic you might clear your section once you get back to your seat. Nearby, the Momofuku fried chicken favorite Fuku [Section 141] now has roving concessioners hawking their sandwiches, should you not want to wait in any lines. Technically, the food court behind the center field scoreboard is called Taste of the City, but we’ve always called it Danny Meyerland. The four flagship spots—Shake Shack, Blue Smoke, Box Frites, and El Verano Taqueria—were the pride and joy of the food offerings during Citi Field’s first few seasons. Their field-level neighbors have come and gone (along with some of my favorite foods of years past—RIP, Pat LaFrieda ricotta meatball sliders, I’ll never forget you! ), but the big four remain. Forget that guy and his helmet nachos—for my money, anything you get at this stand is the best deal in the ballpark. I lean toward their nachos, laden with charred corn and bean relish, cotija, and fresh white queso, or go for a pair of street tacos with tender chicken mole or carnitas, but Dan can never resist an ear of elote corn. 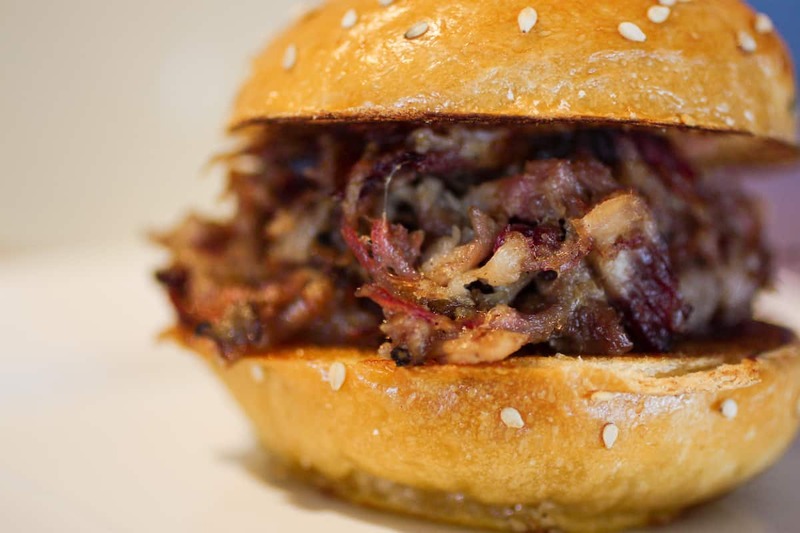 While I tend to save my Blue Smoke snacking for a spot at the actual restaurant bar, sometimes I feel the pull of the sweet, succulent, smoky brisket sandwich while I’m at Citi Field. New for 2019, they’re bringing in another of my favorite Blue Smoke bites: the smoked wings in Alabama sauce. Messy but worth it. 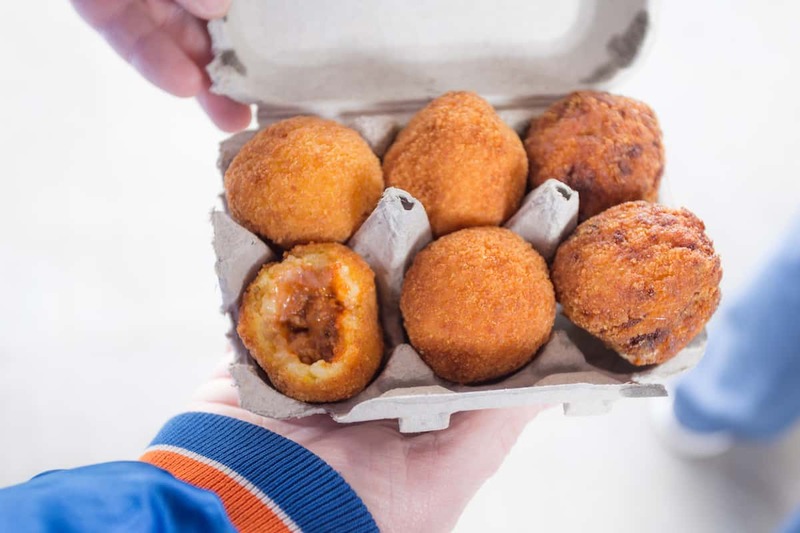 This mix-and-match Italian rice ball stand [Section 103 at Field Level and Promenade Level ] was the sleeper hit of the Mets 2017 season and it is becoming a favorite of many Citi Field regulars. Freshly fried and boasting a winning lineup of fillings—classic meat ragu, pizza, buffalo chicken, taco, and cinnamon-dusted Nutella—they’re the ones to line up for. And I cannot get over the smart to-go packaging: a 6-slot egg carton! Located on both the field level [Section 133] and Promenade level [Section 418], this small kiosk only sells beers brewed in New York state. Pretty great, huh? You can get a wider selection of regional and national beers at the Big Apple Brews stands at Taste of the City and the Promenade Plaza too (Elysian, Victory, Lagunitas, etc. ), but I like seeking out this little stand and having something local. 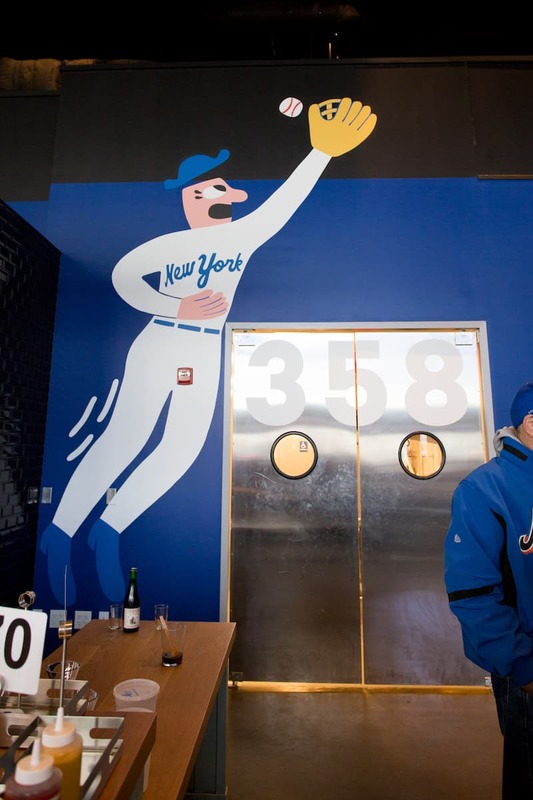 Technically Mikkeller Brewing NYC is a separate entity from Citi Field, since you can’t access the stadium directly through the brewery, but it’s so wonderful that it deserves a visit. This is the second permanent US location for this Danish cult brewery (the first is in San Diego) and I can’t think of a better use for this former storage space tucked between the right field and bullpen gates. It’s cavernous but cozy, with long biergarten tables, a phalanx of bright red barstools, and signature Mikkeller cartoon murals brightening the room. The Endy Chavez-inspired image over the kitchen door (shown above) is unbelievably cute. 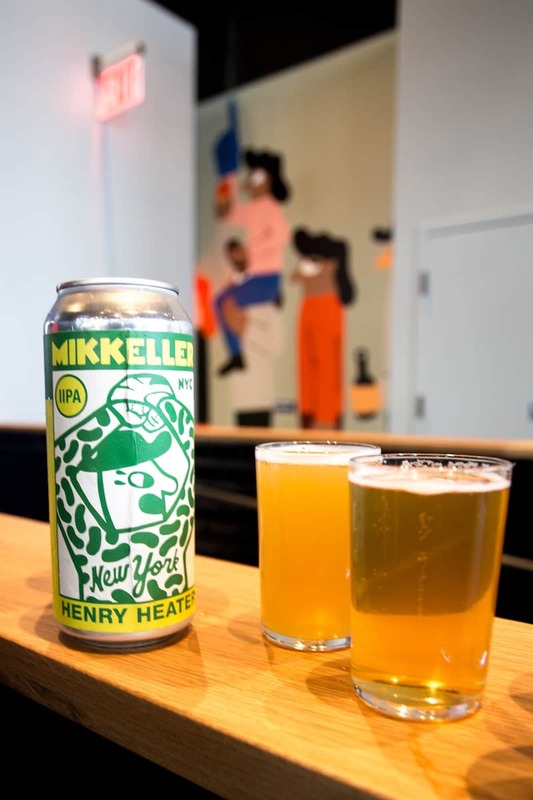 With 60 draft lines, the bar showcases Mikkeller beers from all locations (those brewed in-house, like Henry Hops and Say Hey Sally, along with selections from San Diego and Denmark) as well as other local options like those from Grimm and Other Half. If you’re not willing to brave the crowds on game days, the brewery is open to the public—no Mets ticket required—so you can always take the 7 line out and watch a Mets road game on the bar TVs, or just come for the beer and food alone. 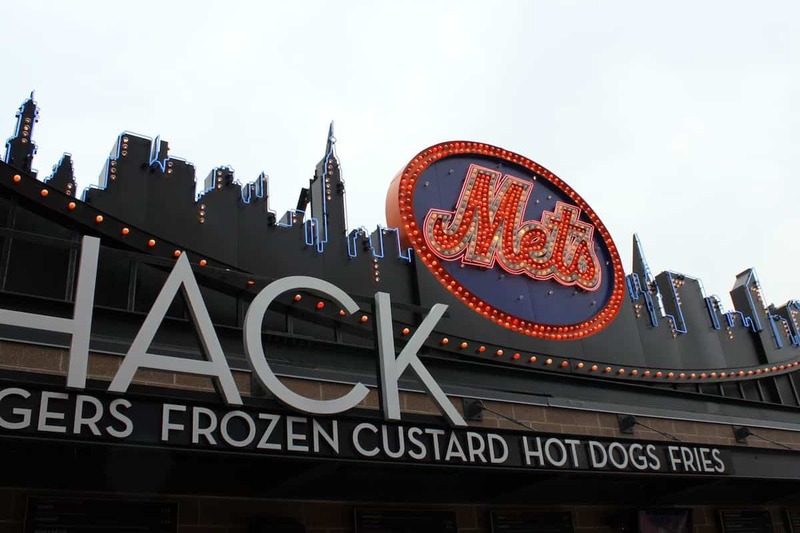 NOTE: This post on Mets Citi Field food was originally published in 2010 and has been updated to reflect the most recent concession information for the 2019 season.